Some Western Europeans say, jokingly, that at least winter is almost over, and if “Putin shuts off the gas,” they will not have to be cold for long. 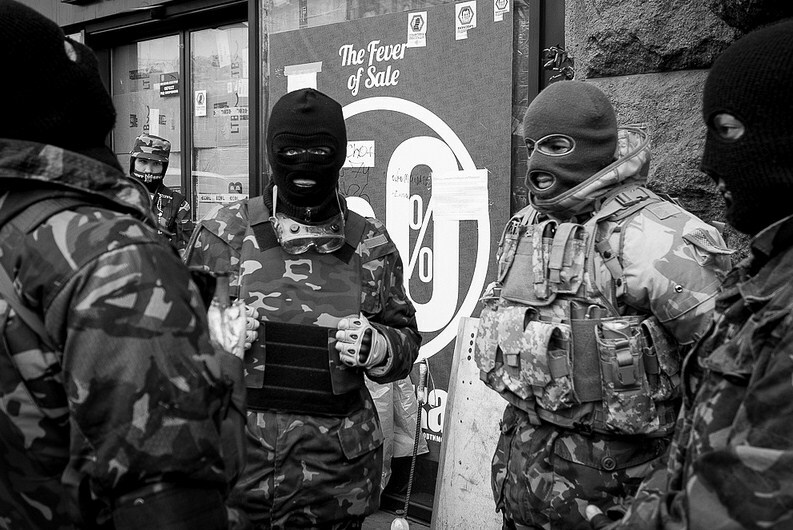 But as the Ukrainian crisis amplifies, European laughter will be short lived. If the European Union had not been a doormat for Washington’s neocons to wipe their feet on, the crisis in Ukraine would not have been engineered. What were the mock-up EU leadership thinking, if anything at all? What can the EU gain from forcing the back of Russian President Vladimir Putin against the wall? Further, what can the EU offer to Ukraine at this juncture besides a belt-tightening austerity program similar to the Greek model? It might still be cold in Europe, but the new cold war is heating up. Europeans should be concerned about the implications of the economic sanctions being pushed by Washington on Putin’s Russia. Russia’s not so secret weapon in Ukraine’s crisis is gas, and it is an economic weapon that could be aimed both at an unruly West Ukraine and at the EU. In effect, 25 percent of the natural gas used by the EU is Russian, and 60 percent of it transits in a pipeline through Ukraine. 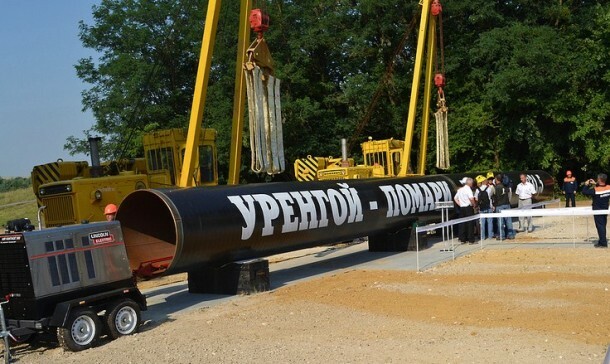 Ukraine itself imports 60 percent of its gas from Russia. With the powerful gas supply issue, Russia can easily put the squeeze on the 28 EU members. While only 15 percent of gas used in France is Russian, in Baltic countries it is 100 percent. Something to think about before getting “tough” on Russia. Meanwhile, Russia is under attack by the finance sector. On March 3, 2014, the ruble fell by 2 percent against the dollar, and $55 billion were lost in one day from the Russian stock exchange. The banksters are pulling their money out of Russia. The value of Gazprom, Russia’s energy giant, whose exports to Europe transit via Ukraine, fell by $12 billion. 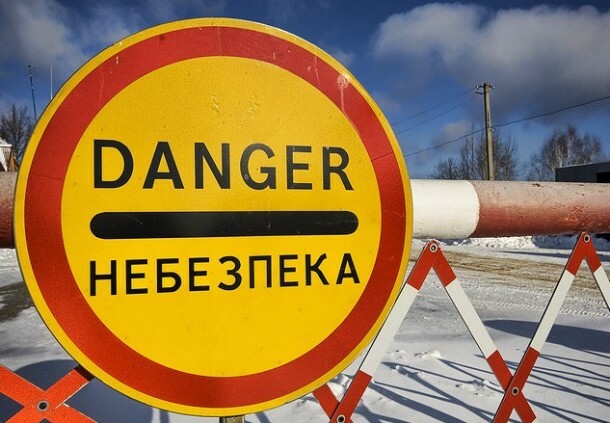 Some in Washington’s neocon think tanks are recommending drastic measure to punish Russia, such as: reject visas across the board for Russian citizens to visit Western countries; immediately put Ukraine under the umbrella of the North Atlantic Treaty Organization (NATO); artificially drive down the price of oil, a prime source of revenue for Russia, by dumping on the global market some of the 700 million barrels from the United States Strategic Petroleum Reserve. For some suits of the global corporate empire, regime change in Ukraine is a stepping stone to the real goal of removing Putin from power in Russia. 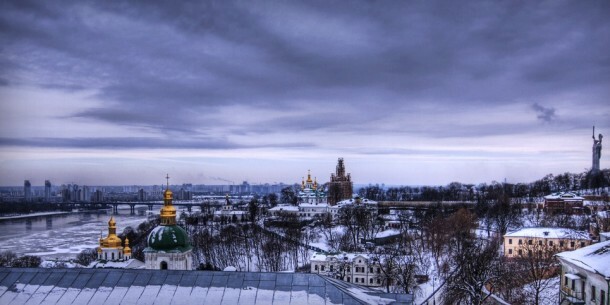 Ukraine’s independence from Russia is recent: about 20 years. Before this, Ukraine was part of the Tzars’ empire for almost 300 years and then part of the Union of Soviet Socialist Republics (USSR) in the communist era post World War II as a Soviet Republic. 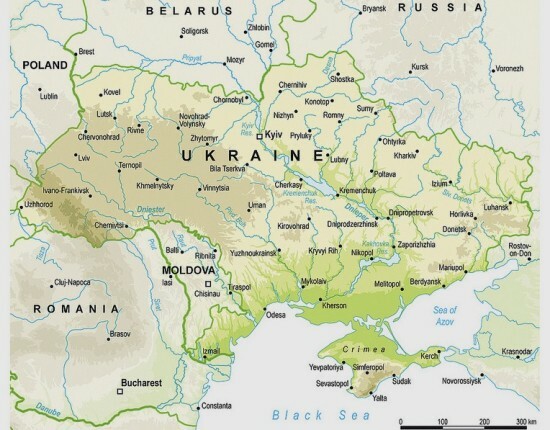 In the context of the Soviet Union, Crimea, in majority (60 percent) an ethnic Russian area, was given to Ukraine by Nikita Khrushchev in 1954. Further, in East Ukraine there is also a substantial ethnic Russian population (about 45 percent). 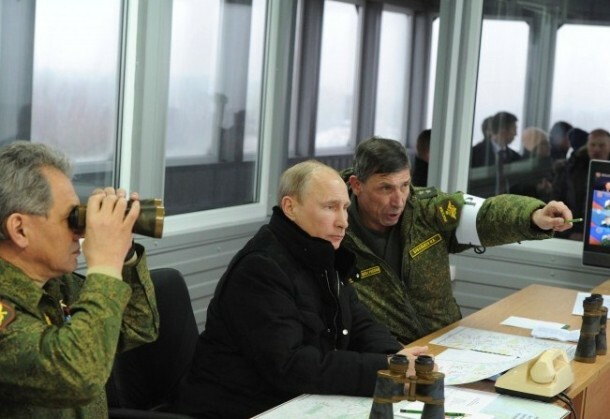 Thus the affairs and policies in Kiev will always involve Moscow. By comparison, US citizens should reflect on what would be their reactions if Russia or China were sponsoring a communist regime change, in let’s say Mexico or Canada. Germany is often described as “an economic giant but political dwarf.” This complete lack of political backbone or even basic dignity appears to have spread to the rest of Europe. The national spokespeople of global corporate imperialism let the US National Security Agency (NSA) spy on them without retaliation, and now the likes of Angela Merkel, Francois Hollande, etc. (not that their names matter) are showing their subordination to Uncle Sam by letting Victoria Nulan, a United States official, insult them without demanding her resignation. Ms. Nulan is the wife of top neocon Robert Kagan, the co-founder of Project for the New American Century, and she remains the Assistant Secretary of State for European and Eurasian Affairs at the US Department of State. She summarized the EU’s lack of political will crudely but honestly when she said: “F@#k the EU.” F@#k the EU indeed, but mainly Ukraine’s population. If the crisis expands — and people like Mr. Kagan and his powerful friends are pouring gasoline on the open flame — it could become a world war. 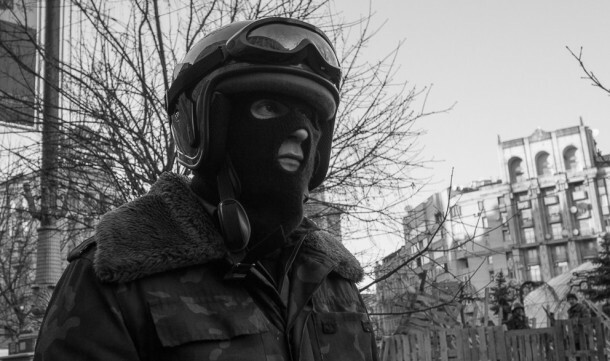 Is Ukraine’s partition the only way to prevent World War III? In 2013, the world came very close to a major conflict over Syria. Many have credited Russia and China with defusing the situation. A few months later, we are on the verge of another international crisis that is potentially more dangerous. In both cases, Syria and Ukraine, the destabilization was triggered and financed by the West. Russia reacted in each instance more strongly than expected. 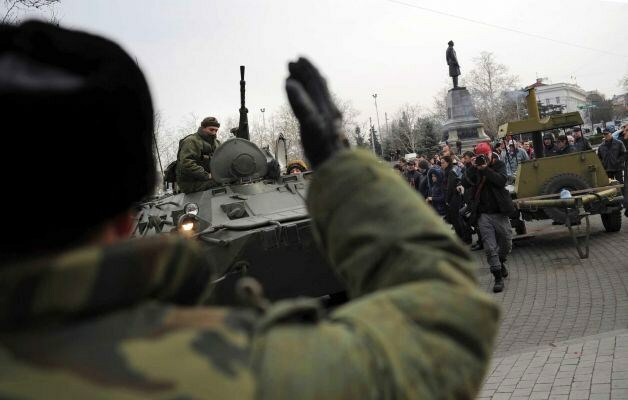 For example, Russia and Russian nationals are flexing their military and militia muscles in Crimea and Eastern Ukraine. Even if the west’s foreign policy acumen is low, it should have expected a forceful reaction from Vladimir Putin. Nobody can be so dumb or so oblivious of recent history like the Cuban missile crisis of October 1962 or Czechoslovakia circa 1968. During the Cuban missile crisis, which lasted for 13 tense days, the USSR and Cuba on one side, and the US on the other, almost came to a direct confrontation involving nuclear weapons over the installation of nuclear missiles by the Soviets in Cuba. The Russian move was meant to prevent the US from toppling its ally Fidel Castro; it was also a retaliation for the threats posed by US nuclear missiles in Turkey and Italy, aimed at the USSR. The Cuban missile crisis is rightly considered to be the moment when the Cold War could have erupted into a full-blown nuclear war. The crisis was defused when Khrushchev accepted to withdraw the missiles, and at the time, the US presidency (President Kennedy) still held enough real power to resist the growing influence of warmongers. In the case of Ukraine, an involvement of BRICS, and especially its member with the biggest military might, China, to consider retaliations against the West including the threat of a fire sale of US Treasury Bonds, would avoid the crescendo of tensions and sanctions that might escalate to World War III. For Ukraine, it unfortunately appears that the only peaceful outcome is a partition (map above) of West from East plus Crimea. West Ukraine would become EU’s newest poor member, crippled with debt to the International Monetary Fund (IMF), and perhaps with a far-right dominated government. 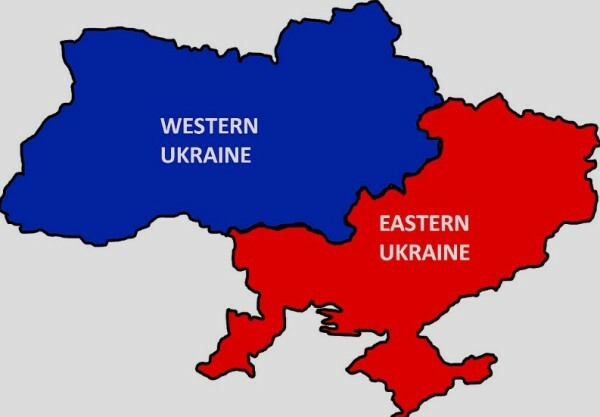 The richer East Ukraine would be a Russian satellite state with all of the benefits and inconveniences.